Health in Africa Congress was organised by the Federation of Islamic Medical Associations (FIMA) in collaboration with the Turkish Ministry of Health, Hayat Foundation, and Istanbul Medeniyet University on 20-21 July in Istanbul, Turkey. The scientific congress addressed the themes of “Health Challenges in Africa and the Way Forward”, “Modernization, Globalization and Health in the African Context”, “Humanitarian and Healthcare Aid in Africa”, “Health Education in Africa”, “Health Organization in Africa”, and “Turkey and Africa”. The Congress gathered together government representatives, decision makers, NGO members, relief organizations and academics from all over the world. During the congress, Mr. Mehmet Fatih Serenli, Director of Training and Technical Cooperation Department at SESRIC, presented a paper on “Aid Dependency in Health in the African Continent”. The paper highlighted “foreign aid” as well as the specificity of Africa as a geographically, culturally, ethnically and economically fragmented continent. In addition, as the main idea behind providing aid to a country is to support the country’s development, the speech raised the following questions: how development happens in reality? How recipient countries could pass from a situation of unbalanced and externally subsidized survival to one of self-sustained growth? How would development aid help a least developed country transform into a lower-middle income country, into an upper-middle income country, and finally into a fully developed country? The speech highlighted as well the difficulties and problems facing development organizations towards improving the self-sustainability of beneficiary countries and cited some of the international community advancements towards aid dependency in Africa. Mr. Mehmet Fatih Serenli concluded his speech with the role of the international community in general and SESRIC in specific through proposing South-South Cooperation modalities as a potential solution towards the problem of aid dependency and the healthcare situation in Africa. 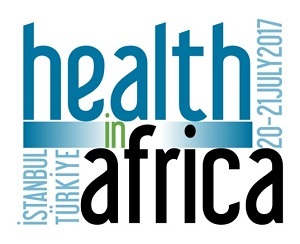 For more information about the Congress please visit www.healthinafrica.istanbul.